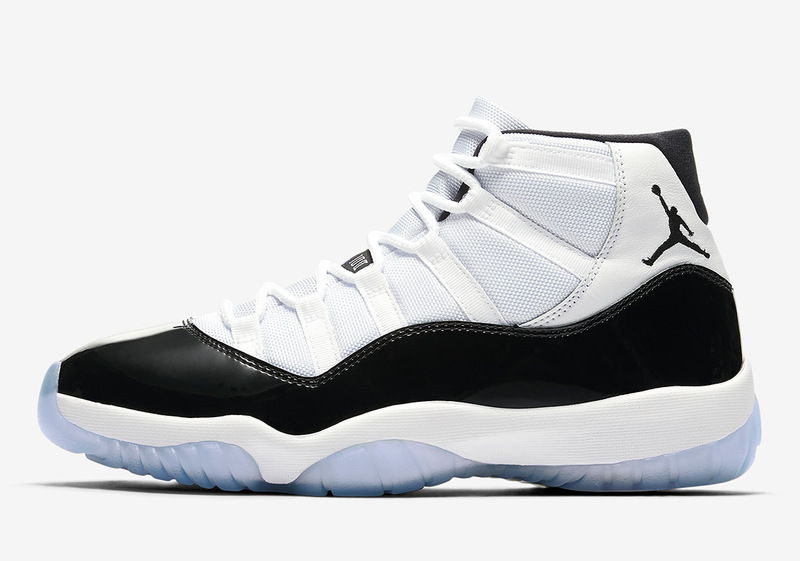 To the delight of sneakerheads the world over, the revered Air Jordan 11 Concord just released via a surprise Nike SNKRS drop. With the official December 8th release still a few weeks away, it is likely that Nike and the Jordan Brand still have a few more tricks up their sleeves to continue increasing the hype surrounding what is bound to be the most successful drop since 2016’s Space Jam drop. Dressed in a luxurious combination of black patent leather and white ballistic mesh, the “Tuxedo For Your Feet” monicker consistently bestowed upon this creation is more than fitting. Enjoy an official set of images for these beloved Jordan 11s below and keep it locked for any more special release updates in advance of 12/8.